The new Imex LX22 is the newest Cross Line Laser to be added to our range and features the latest in Laser Edge Technology. This technology has enhanced the visibillity of the laser at a longer distance, keeping the laser line thin and accurate. We’re excited about this breakthrough in laser technology, and the innovation and progress Imex are making in the field of laser levelling and measuring equipment. The new laser diodes featured in the Imex LX22 buck the trend of traditional cross line lasers that struggle with thin laser lines becoming thicker at a further distance. What makes the Imex LX22 so innovative, is that the laser line can be easily seen up to 40 metres inside, with a crisp thin line all the way. The Imex LX22 is packed with features, making it an extremely functional Cross Line Laser for use in a range of applications. 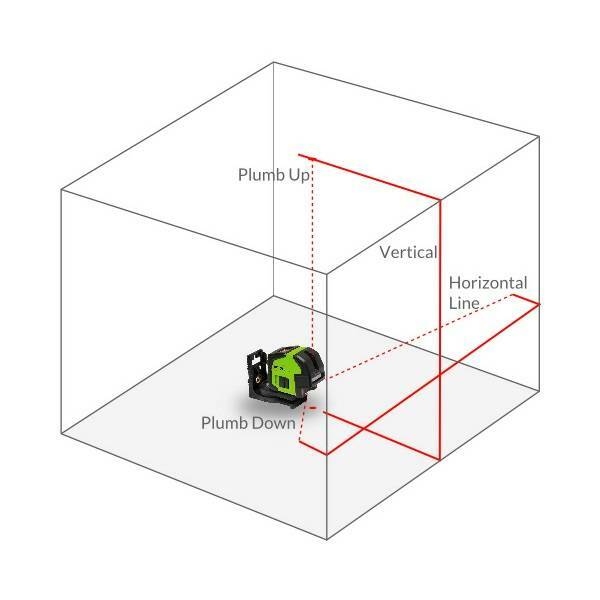 The LX22 Cross Line Laser features a vertical and horizontal line, with an optional self-levelling mode, as well as plumb up and down spot lasers. The robust exterior features a magnetic rotating bracket which adds flexibility for use on the job site. Cross Line Lasers are an ideal tool for tradesman that require accuracy and precision when measuring or planning. The Imex LX22 can be used for cabinet installation, tiling, interior fittings and window and door placement, and many more applications. For more product information about the Imex LX22, click here. 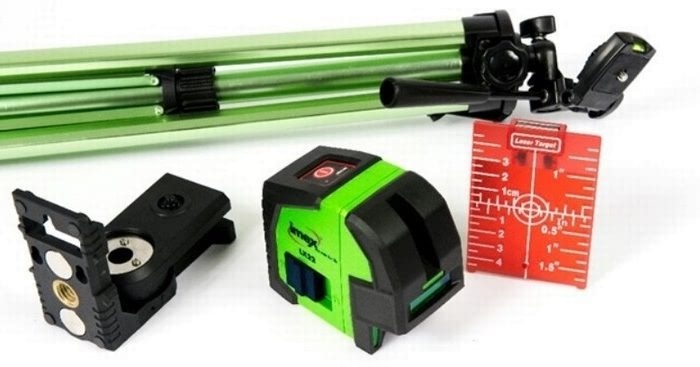 For the Imex LX22 Kit version, which comes with tripod and accessories, click here.